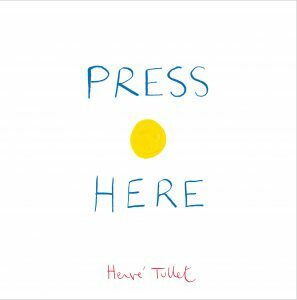 This month’s book, Press Here by Hervé Tullet, is a masterpiece of children’s literature that shows us that books do not have to be flashy or complicated in order to spark a child’s imagination! With utmost simplicity – using only primary colors and circles – Tullet creates a truly interactive experience through which you can develop vocabulary, numeration, and even alphabet knowledge. Ready? Press Here: ⃝ and read on! If you’re happy and you know it, press the dot. If you’re happy and you know it, shake the book. 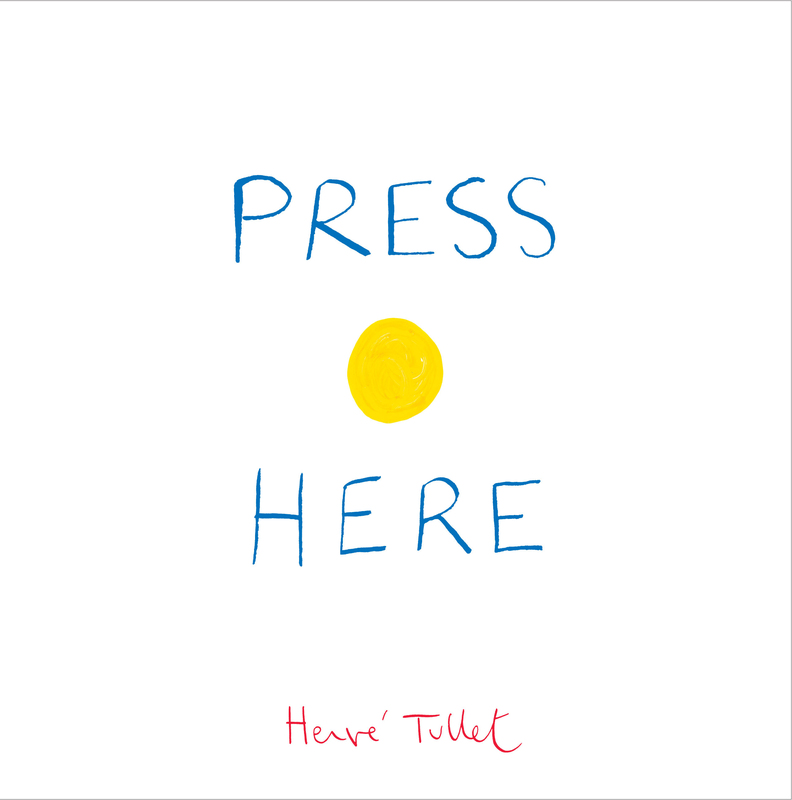 Press Here is a fun book that promotes participation. Encourage your child to interact with each page as much as possible. Get ready to read this one over and over again! Fizzy Colors! Fill a baking pan or tub with baking soda. Prepare the magic solutions by mixing vinegar and food coloring. Invite your child to use an eye dropper or straw to drop the solution in the pan and make colorful fizzy dots. See what happens when you mix colors! Send a picture of you and your child playing with the fizzy colors! Be creative! We can’t wait to see what you loved about Press Here!